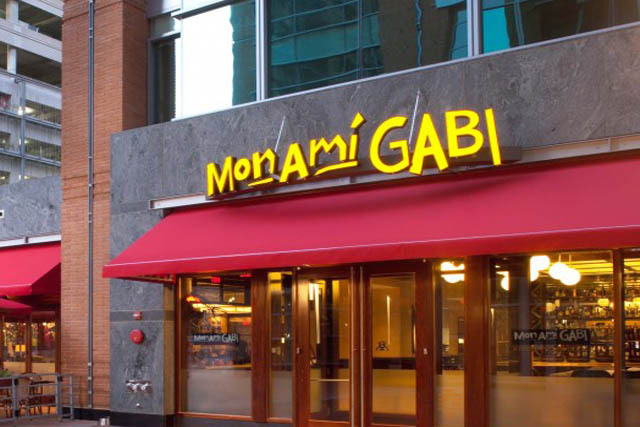 If you are in the mood for something a little different from a gourmet restaurant (but don't particularly want to skimp on the gourmet), Mon Ami Gabi might just be the ticket for you. gMon Amih means gmy friendh in French, and gGabih is for the Chef and Owner Gabino Stelino. It is an apt description of the wonderful tastes Sotelino produces: he will be best your best culinary friend when you eat at his bistro. There is a dining room, but one of the most popular places to dine is the outdoor patio. This spot is ideal for watching the movement of Las Vegas as the night progresses. It is first come-first served, though, so arrive early. 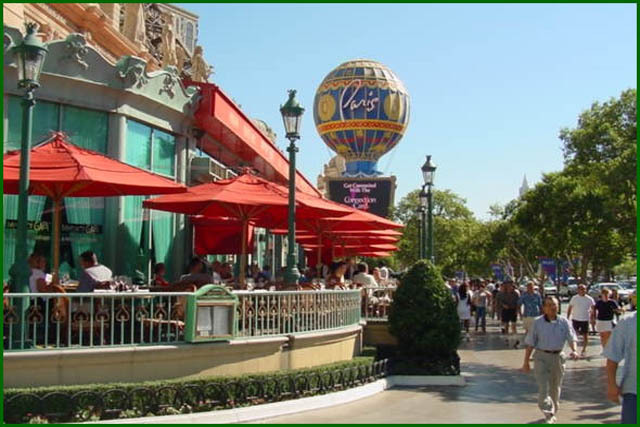 The French Bistro fare that you will find at Mon Ami Gabi are classics such as crepes and quiches. Other delectable dinner favorites are French onion soup, signature steak frites and Trout Grenobloise. And no French restaurant would complete without a wine list. French wines are served by the bottle and by the glass and you choose from many on a rolling cart. Dessert is also scrumptious. The classic French dessert creme brulee is always a good choice, but is by no means the only excellent item on the menu. Top off your appetizer and entree with fantastic dessert and don't feel guilty about it. Excellent food deserves to be eaten.